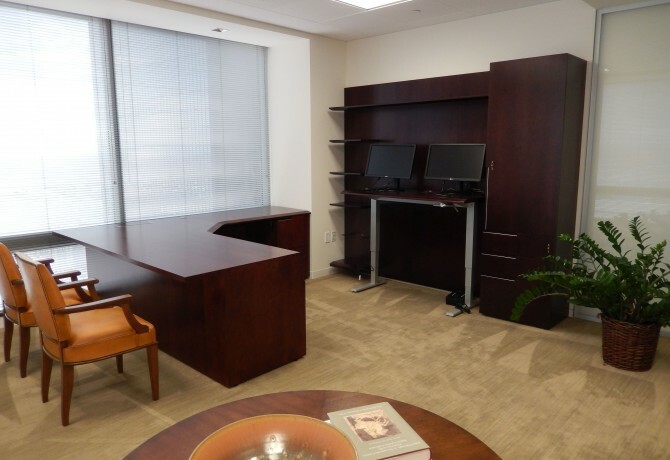 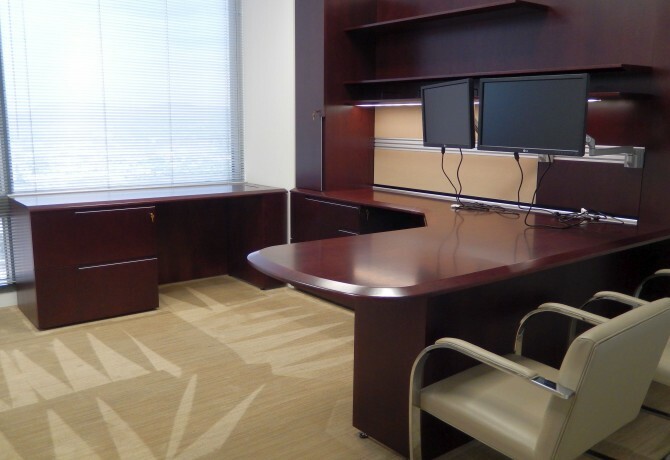 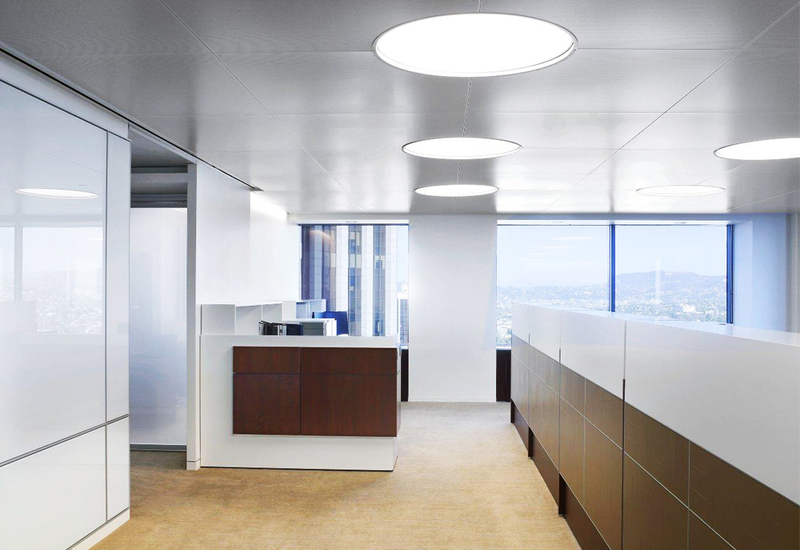 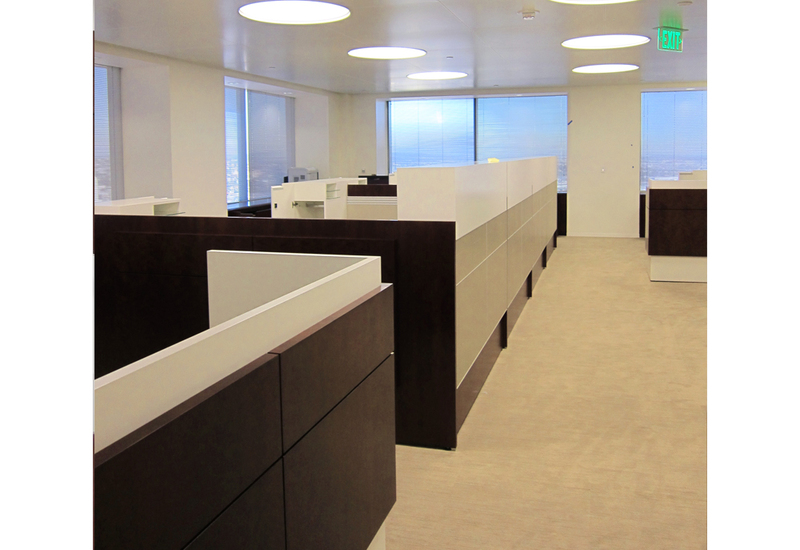 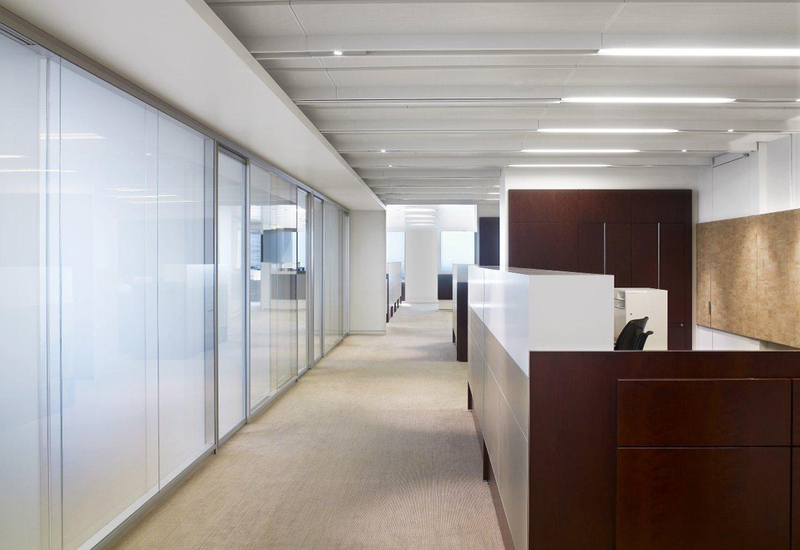 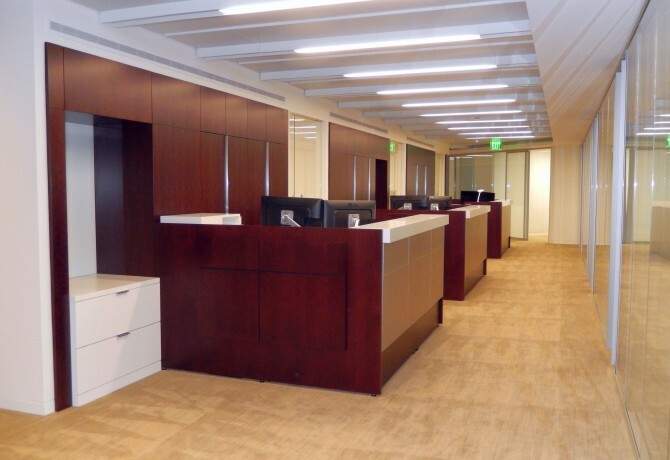 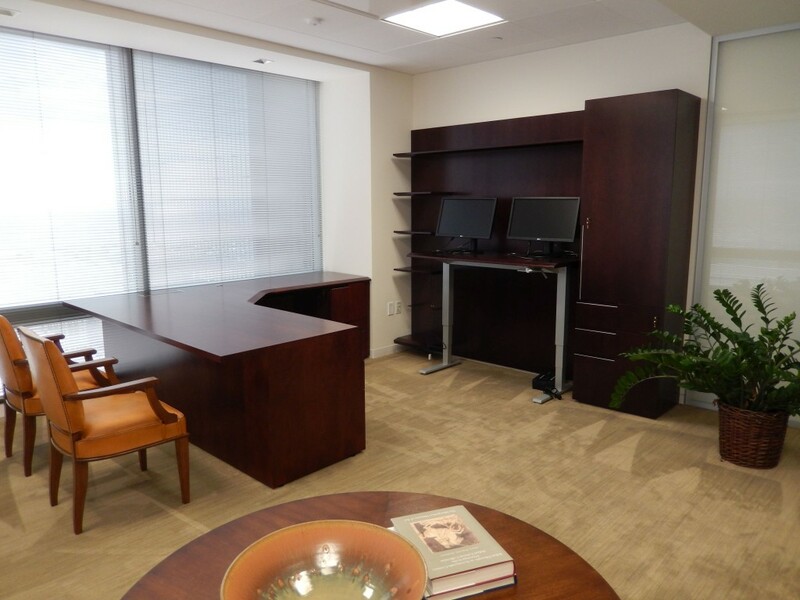 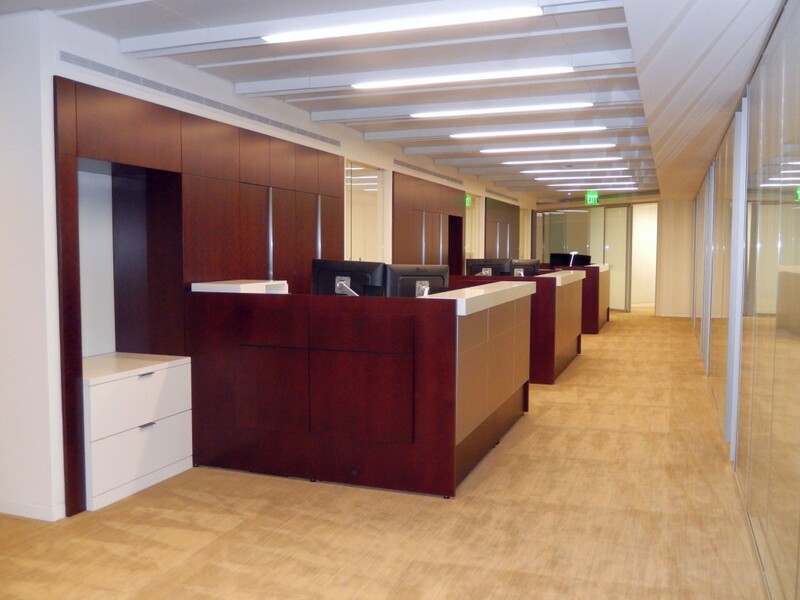 The multi-floor plan of the Los Angeles based investment group Oaktree Capital includes 36 bespoke private offices and 58 administrative assistant stations. 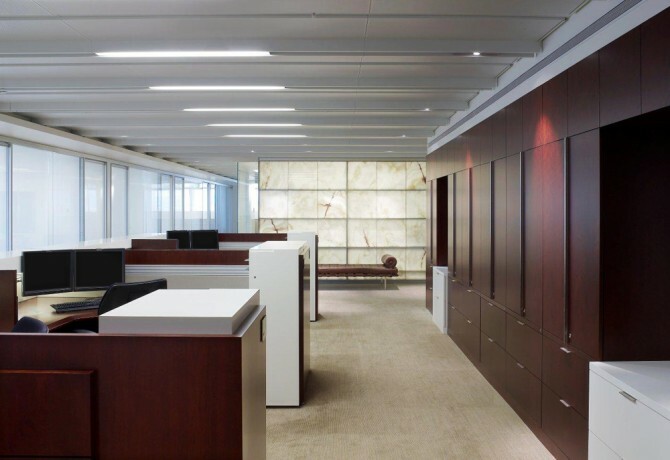 With an eye for high design, the spaces all incorporate high-contrasting materials and are detailed to coordinate with site specific millwork. 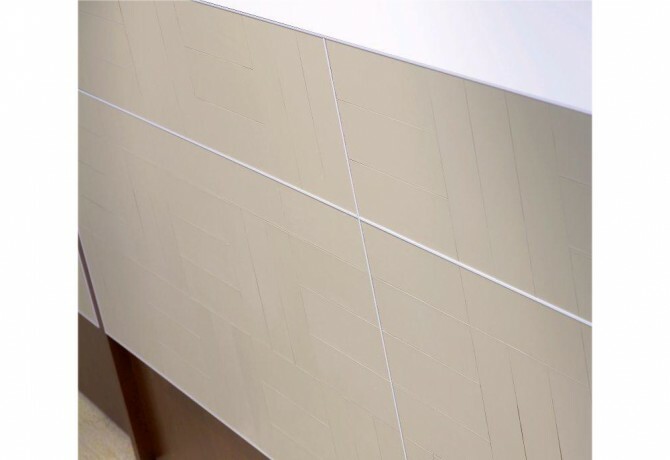 Flat-cut cherry veneer finished in a deep claret was used in combination with brilliant white elements and putty Spinneybeck leather tile panels to create an elegant yet approachable work space.